The story doesn't really pick up until half way through route b. Then it never stops. If you don't like it you don't like it. Personally I thought it easily had the best story of this generation. Yeah, A scenario is like prologue (they esablish lore, characters and places), story wise nothing mindblowing is happening there. It's not the ending, it's just half of the story - I think it wasn't great idea to cut story like that, there should be just AC story (without "cut") and B as optional scenario after beating the game. I suspect many people just stopped playing after they were thrown to menu after scenario A, this could be confusing. Its not even half the story, its legitimately just a third. Route B adds a lot plot-wise, even if it does occupy the same time-line as A, the majority of the new content is significantly impacting on the story in terms of filling in motivations and backplot. C of course is all completely new material with all the real endings and the noteworthy hidden extras. So no, if somebody only played up to the end of A, they are in no position to talk about the story. That's not being rude or dismissive, its a simple statement of fact. Just bear in mind that this is far from typical for Platinum, particularly route B which leans away from their traditional melee-focus. I think this is the reason why some players have issues with the section because the core gameplay really scratches a different sort of itch. Yes, you can still play it like you do the other routes, but that really isn't the intended method, especially as the hacking system hides the best Easter egg in the game*. The "final hack" at the end of route C is really something special. I don't really have any experience with Platinum games but was still expecting a mainly melee focused game. If the core gameplay is actually quite different and varied then I'm even more intrigued. I love the support this game gets. Nier automata was hit or miss with me, and I just wasn’t attached to it as much as I was attached to the first Nier. The story quite clearly ended there. You beat the bad guys and you got your romantic moment between the two protagonists, then the credits roll and the game offers you to play it again with a different character. I got ways through the B line but the story didn't have a single hook unlike the first game. Once you finished the 1st Nier and were given the chance to play it again you were immediately hooked by a very well written piece of story and a whole new element to the game. The only thing B route in Automata does is now you can cheese every battle using the hacking mini-game (which is fun I guess), but that isn't nearly enough to make me spend hours just to get a few different lines of dialogue. Personally I thought it easily had the best story of this generation. Have you played Final Fantasy Type-0? C route is second half of the story, it's not comprable in lenght but playing trough scenario A only is like ending MGS2 after Tanker episode. That is not true. For the starters the tanker is pretty short and is self evident that it is not the end of the game because the game just continues on just with a different character. I also don't recall there being end credits and the game booting you to the main menu. You're my edf pal, but you could not be more wrong here. The credits roll at about 35% of the story, its not just extra dialogue, its the 2nd half, including perspectives from other characters, and the real truths of the story. The "credits" are just an interval. Well yeah, I get all of that. But the problem is that there is no hook. You just replay the game with some changed dialogue and an option to use the hacking mini-game. There was nothing that made me consider playing it more so I just gave up and quit. The hook just isn't there for me and the first ending is satisfying enough. Yoko Taro does this all the time, he did with original Drakengard, Drakengard 3 and original NieR. Route A in Automata is not even half way story, which is very clear when 2B says “why always end like this”. If you didn’t enjoy game enough to play it that’s fine but you really didn’t finish the game if only played Route A, not even close. Well yeah, I get all of that. But the problem is that there is no hook. You just replay the game with some changed dialogue and an option to use the hacking mini-game. There was nothing that misding consider playing it more so I just gave up and quit. The hook just isn't there for me and the first ending is satisfying enough. 2 more super secret ones come after if you work hard enough, mainly for nier 1 fans. You stopped at barely half the story. Well yeah, I did not enjoy the game, that was my point. That is why I never bothered to finish the B route. But my point is that I didn't even like the 1st half. It is a jumbled mess that jumps all over the place and doesn't even offer a clear perspective on literally anything. You hear one thing then it gets ignored and see people acting in exact opposites and you are given nonsensical plot developments all the time. I just couldn't find anything about the story that I could enjoy but I really liked those shoot-em-up sections. Those are by far my favorite parts of the game. But my point is that I didn't even like the 1st half. It is a jumbled mess that jumps all over the place and doesn't even offer a clear perspective on literally anything. Out of curiosity, what part of it was “jumbled mess” exactly? For me it was everything. The dialogue, the dates, the events, nothing fell into place. The way the characters reacted to one another and to the environment, how the enemies were presented, how the world was presented. It felt like someone took a bunch of cliches and threw them in a blender. But that doesn't really tell me anything, do you mean the timeline it take place after original NieR? Or do you mean why 2B was cold towards 9S in beginning? because there is actually very good reason for that. No but I would like to. Still waiting for a bundle with all FF games on pc so I can justify rebuying all of them. That good? Ending A felt like a good enough of an ending. I don't want to play it anymore. The story is pretty bad, it never hooked me at all. I only played it just to get it off my backlog mostly. Except it isn't an ending. That is like finishing Episode 1 of The Walking Dead and thinking "y'know, that was good enough of an ending!" Automata is the least cliched game ive played this gen. All the early stuff is there for a reason, to be challenged, explained, and confounded later. Definitely a case of ego denying someone a brilliant game. Both of those and many more. It is your average post-apocalyptic, we are the good guys but actually not, hello fellow kids, edge lord story. Just one cliche after another. I'm not sure if you are talking literally about episode or season because I never bothered with the 2nd season but it is clear as day that episode 1 is not the ending. The comparison is just ridiculous. You only played through Route A there is nice explanation why 2B was acting like that towards 9S and the timeline between original NieR and Automata. Route A is there to setting things up it won't explain anything. Well I kind of can guess why she was acting the way she was, that isn't really hard, but I was talking more about the fact how she is the only one who says "feelings are forbidden" yet she and every one else around her shows them constantly. The characters, radio operators, commander, the resistance, etc. etc. It is only 2B who on occasion turns to this cold fish just to make an act and then start yelling and crying again like nothing ever happened. She feels like a person suffering from dissociative identity disorder. It is your average post-apocalyptic, we are the good guys but actually not, hello fellow kids, edge lord story..
That description bears absolutely zero resemblance to the story the game tells. So the story is not set in a post-apocalyptic setting? The story does not focus on asking the player if he is on the right side of the conflict? The story has no focus on sexual innuendos and trying to appeal to male audience? The story does not feature any gloomy, brooding, mysterious characters? Grade A story. As someone who reads a lot and is very quick to pick up on cliches this one still definitely has them but they are so well woven into the overall story it legit shocked me. The flip flops I did while playing the game thinking "wow, this guy is a master league douche." only to say near the end of the game "damn...I was so very very wrong..." It still has a couple of deaf sections but overall it has an amazing atmosphere and to get crystal clear picture of the story there are insane number of codex-like material in the game which I never read all of it just because there is so much of it. It isn't, imo, necessary to read it all but as you play the game you unlock special cut-scenes that tell you parts of the story that you never got to see and about events that happened to characters while they or you were away. It was just mindblowing seeing it all fall into place. The first time you play it, you are like "well that was a solid story and an interesting cast of characters." You can end it there or do another run where you are shown all the hidden stuff that happened while you were doing your business and then you realize something I don't want to spoil but it is pretty well written. I was honestly shocked how much effort was put into this game by the writers considering it was supposed to be just a spin-off little thing for the PSP, but it is clear as day that the creators of the game went all in holding nothing back at all. Well she is suffering internally between her love for 9S and her duty as 2E to keep killing 9S if he get close to truth. She is been cold towards 9S because doesn’t want to get attached to 9S if she ends up killing 9S again but she can’t help get emotional because she already deeply care about 9S. Yeah I expected something like that, but why the "feelings are forbidden" in the first place if nobody, LITERALLY NOBODY follows that rule? Why not "Hey, man, you are not my type. Can we keep this professional? Cool, kthxbye." That’s mostly for herself, she never criticize 6O showing emotion and later on in the quest she sends a picture of flower to make her happy. 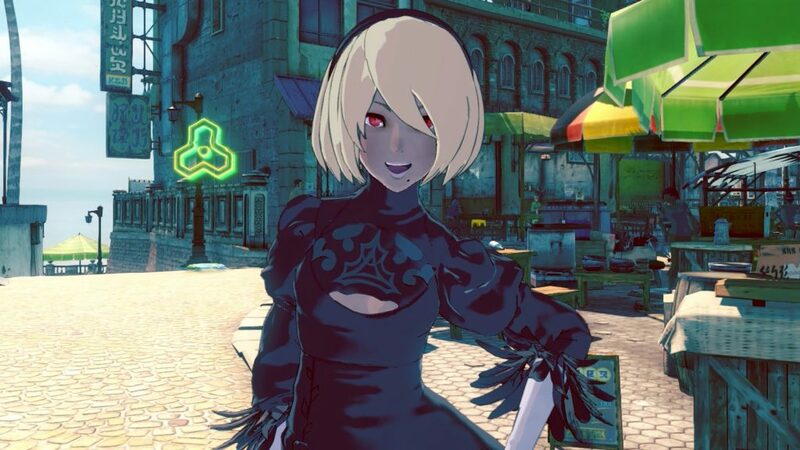 She already deeply cares about 9S but as 2E she has a duty to execute any android who either go rouge or find out about the truth. She is not perfect, so her emotion get better of her. Well she kind of does criticize him. In the opening section she shuts him down with "emotions are forbidden" to which he replies "I know but still..." so it isn't just her own rule. It absolutely is nothing like what you're saying, im quite dissappointed to hear you say all these things. You literally could not be more wrong, you dont know anything about the story apart from the 1st 35% of it, like watching the 1st act of a film. I wont try to rescue you, except just state that you are incredibly factually wrong. In fact, please stop ruining the thread, it's taking it over with everyone being annoyed at how deliberately you played it wrong. Feel free to set me right if I am FACTUALLY wrong. edit: we can pick this up tomorrow, I'm off for today. It is 22:16 and I get up before 6am tomorrow. yeah, but most android won’t follow them and only reason 2B strictly wants to follow it is for herself. 6O even cries in one of her routine call because she got rejected but 2B doesn’t criticize 6O for showing emotion. This something only she does with 9S. You're factually wrong about how the story plays out, and you've admitted you only know a third of it. Yes you're ruining the thread by baiting everyone and making it all about you. We won't pick it up any further, please stop posting in it. @angelic: if mcz117chief didn’t enjoy the game, that his taste. But I don’t agree with him about calling the story a “mess” especially when he didn’t even finished the game. But it seems he already decided he doesn’t like the game so nothing I or you can do to change his mind. Thats how I feel too, his mind wont change, I just dont want it to turn into more and more pages of people defending the game to someone who isnt listening. Exactly, which is why I found the whole thing just ridiculous. Making a big deal out of it and then it just fizzles out. Show me where I am not listening. Your only arguments are "this game be awesome, you are just a troglodyte because you didn't grind enough to unlock more "endings". I won't debate with you because I don't want to catch stupid, cya in my bunker." Show me where I made a mistake or factually misinterpreted a key part of the story to come to a false conclusion. Or is this thread only for people who want to praise it but legitimate criticism is not allowed? It doesnt fizzle out, it's key to the plot in the rest of the game you havent played. Trust the people who have finished it. It becomes a big deal later on, you currently have no context what’s really going on. Again you are not even close finishing the story. So why is it mentioned only by one character as a "law" but nobody seems to care about following it or enforcing? Why isn't everybody being fined 10 space bucks for violating the verbal morality statute? If it is such a big deal why does nobody care about it. It is literally just at best a Chekhov's gun or MacGuffin at worst. They do know, its all explained. Its key to the entire story. k, guess we can end it here then. Until you play through C, yup. @mcz117chief: you stopped at first chapter of the game and still expect fully understand the whole story. I'll think about it. Thank you for your time anyway. Doesn't the first chapter end where you blow yourself up and wake up on the space station about 20 minutes into the game? That’s my point Yoko Taro just likes to put ending credits end of each chapter. Those joke endings kind makes fun of that. Finishing Route A is just the first chapter even it does have end credit. Well those "joke endings" are pretty obvious. Like when I pulled out my CPU or blew up the bunker you get the "lol no" message and credits which ran past you in like a microsecond so that was pretty obviously a joke ending. Or if you the fish you captured. Huh, interesting. I never tried that. Do you get a funny cutscene at least or you just die? Just like other joke endings it just text what happened after she eat the fish.